other colours available, black/baby blue shadow, baby blue/brown shadow and more. 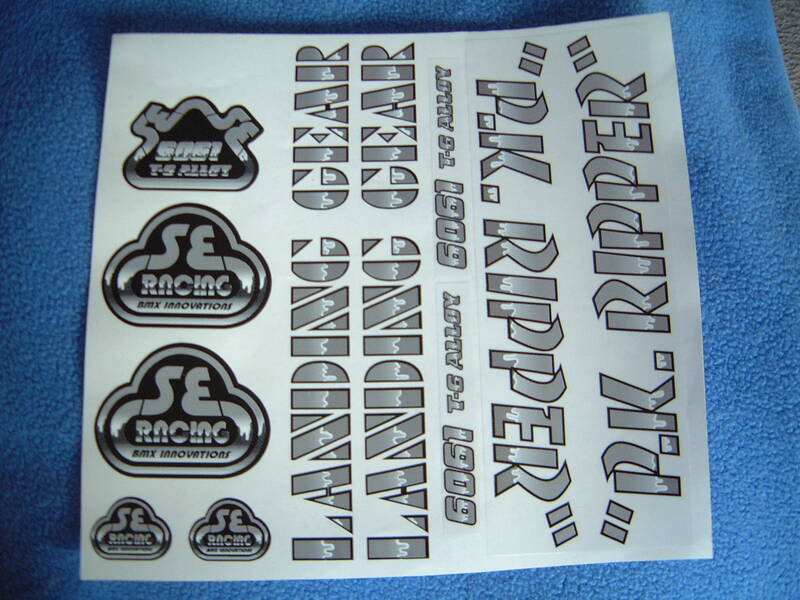 SE Quadangle set, comes with landing gear stickers x 2 available in black (shown) red, baby blue and gold. 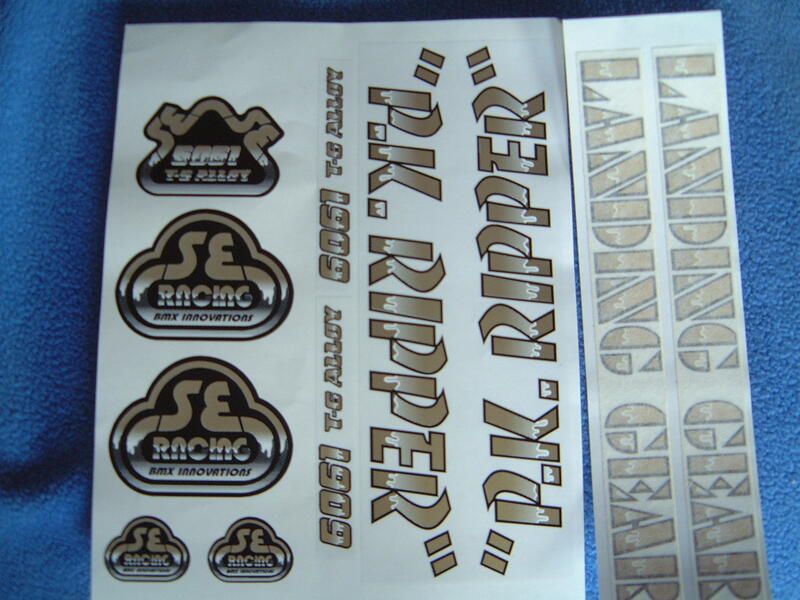 The best MK 2 chopper kit on the market complete with shifter sticker in yellow or orange, not sold by anyone else £25.00 set. Artwork taken from nos set.